If you’re in need of professional mulch application in Dallas-Fort Worth, TX, MDM Landscapes is the company for you. Give us a call at 817-396-0125 to learn more. Mulches are generally organic, but not exclusively so. 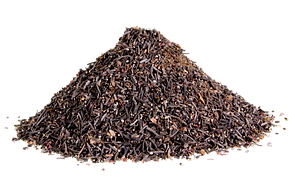 Permanent mulch, like a layer of plastic sheeting, can stay in place for years, and more temporary forms of mulch – such as bark chips- must be regularly added to. Mulch can be applied to bare soil or can be added around existing plants. Natural mulches, like manure or compost, will be added to the soil mixture by the action of worms and soil-dwelling organisms. Application of mulch takes place in both commercial and residential developments, both for aesthetics and crop production, and can drastically improve the fertility of your soil. 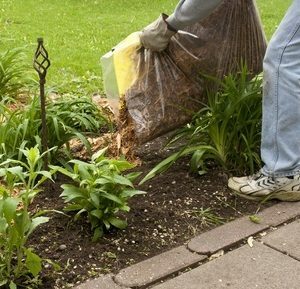 Most layers of mulch are around two inches deep and can be applied at different times throughout the year, depending on their intended purpose. In the spring, mulches can help to warm the soil through heat retention, which facilitates early seedlings and transplants. Mulch also maintains the temperature of the soil as the summer progresses and helps retain an adequate level of moisture. For mulch application in Dallas-Fort Worth, TX, call us today. Mulch, while helpful in soil retention and temperature regulation, can also inhibit water from reaching the soil if it’s to absorptive. In order to achieve the maximum benefits, while minimizing the negative effects of mulch, it is usually applied once the temperatures have risen sufficiently, but before the soil becomes too dry. This is usually in late spring or early summer, though it may differ in colder or more humid environments. Permanent layers of plastic are valued for their simple installation and the fact that so little maintenance is required. In larger commercial operations, plastic sheets are laid down with tractors, often requiring the use of drip irrigation systems in place underneath the plastic. Whatever mulch you decide to use, and however you decide to have it installed, MDM Landscapes is sure to have the equipment and knowledge necessary to help you mulch your lawn quickly and efficiently. So if you’re needing mulch application in Dallas-Fort Worth, TXor any type of landscaping service, call MDM Landscapes at 817-396-0125. We are the local mulch application experts in DFW!